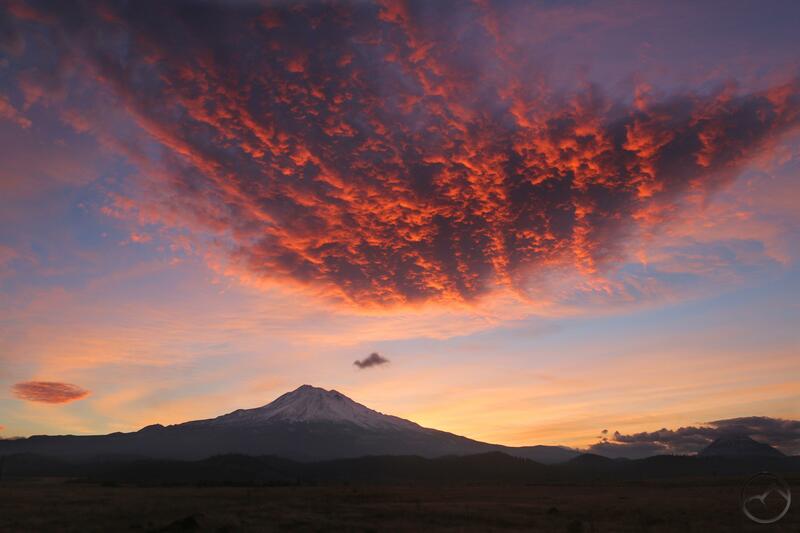 As is so often the case, spectacular cloud formations around Mount Shasta often end up bringing rain and snow. The clouds present at yesterday’s tremendous sunrise proved true to this observation. 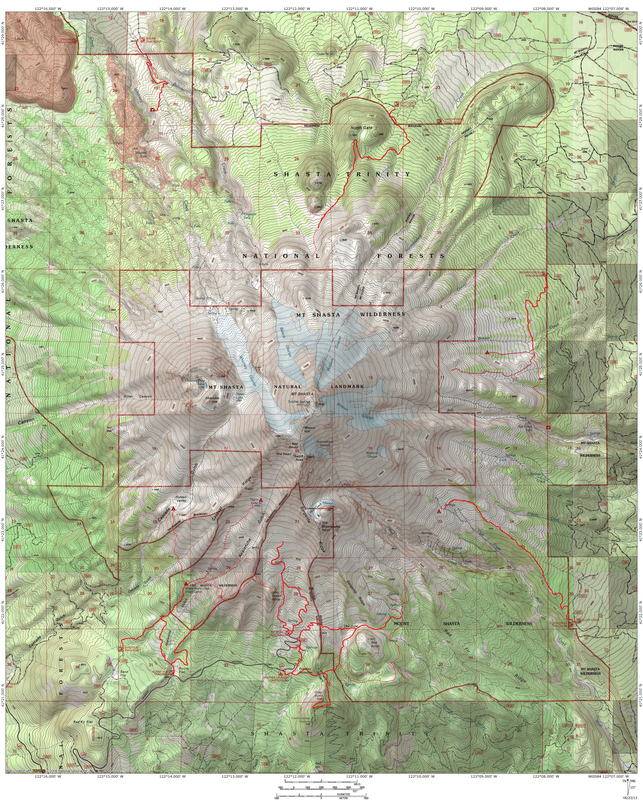 The mountain is so tall and so massive that its impact on the weather is difficult to predict, other than to accept that Mount Shasta has a hold on the climate systems in this area. Other than the unpredictable nature of this, the other important surety is that it the mountain’s interaction with the weather is often majestic. This certainly proved to be the case yesterday. When I awoke, I was not optimistic that it would be a particularly memorable morning. The sky was seemingly clear. However, as I headed north, I could discern an interesting collection of clouds in the darkness. North seemed like the direction to go and, sure enough, as the sunrise color started to set in, I knew that had been wrong earlier and that it was destined to be a tremendous start to the day. The rising sun set the sky on fire and the dark cluster of clouds caught fire in terrific fashion. The wind howled through the valley and it was cold, but I was thrilled by the awesome meteorological show to which I was witness. I stayed as long as the color was vivid. As it faded I packed up my camera and headed home. When I arrived 15 minutes later the sky had filled with hazy clouds and the distinctive cloud had faded. However the wind kept up, the clouds swirled throughout the day. With evening rain in the forecast, I knew there was a chance that something interesting might still manifest around the mountain. I headed down to one of my closest vista points and was not disappointed. A couple of loosely formed disks hovered to the northeast of Mount Shasta. 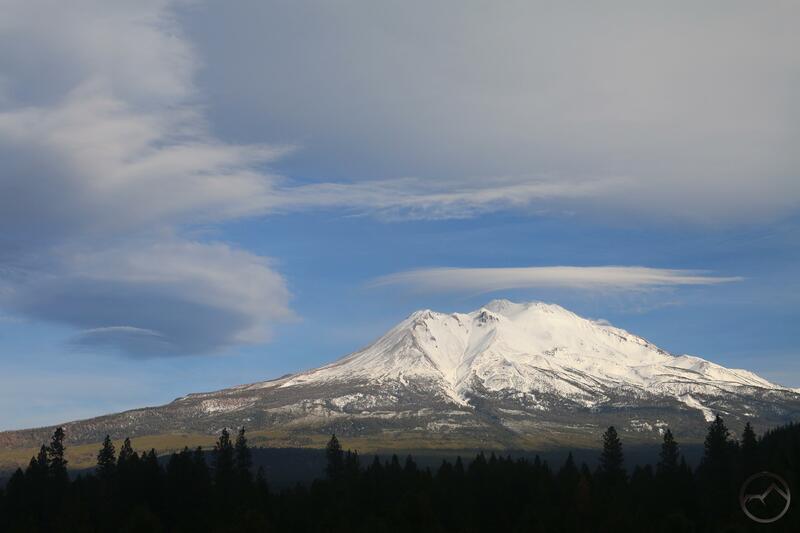 At the same time a small but dramatic lenticular wave directly above Mount Shasta. It was not the greatest lenticular formations I have witnessed but it was a memorable display nonetheless. I had considered the possibility that these would clouds would present at sunset but they were in constant fluctuation and seemed to herald a sudden shift in the weather. I decided not to wait for sunset and headed home. This proved to be wise. Within 45 minutes the sky had filled with clouds and it was raining hard. The days drama in the skies was over but I was glad to have the precipitation, especially knowing this meant more snow at higher elevations. 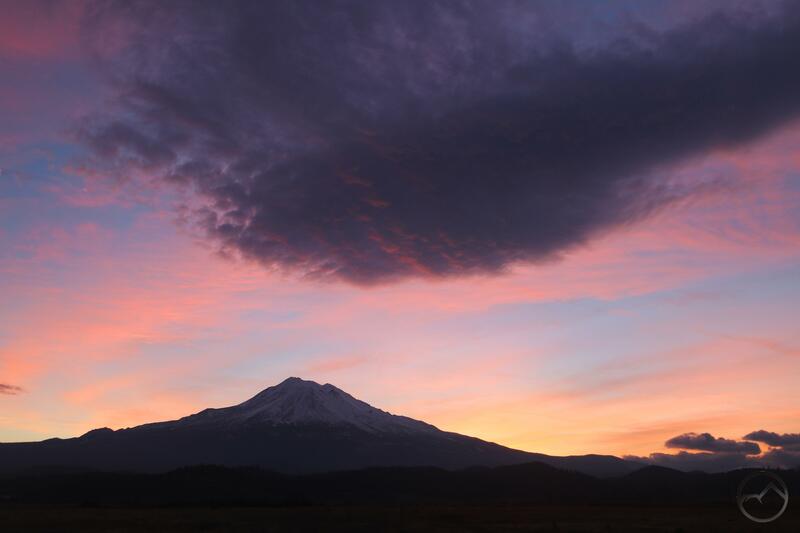 This time of year can be frustrating because so many high trails are covered in snow, but when it comes to capturing the grandeur of Mount Shasta, this is tough to beat.